Managing quality and compliance in a growing company can be a real challenge. There are new people, new processes, new sites, new products and new customers who you need to understand and manage. This step-by-step guide helps you plan an effective strategy. 200+ Governance, Risk and Compliance Professionals shared how their role is changing, the main challenges they are facing and how they feel about the future of the profession. 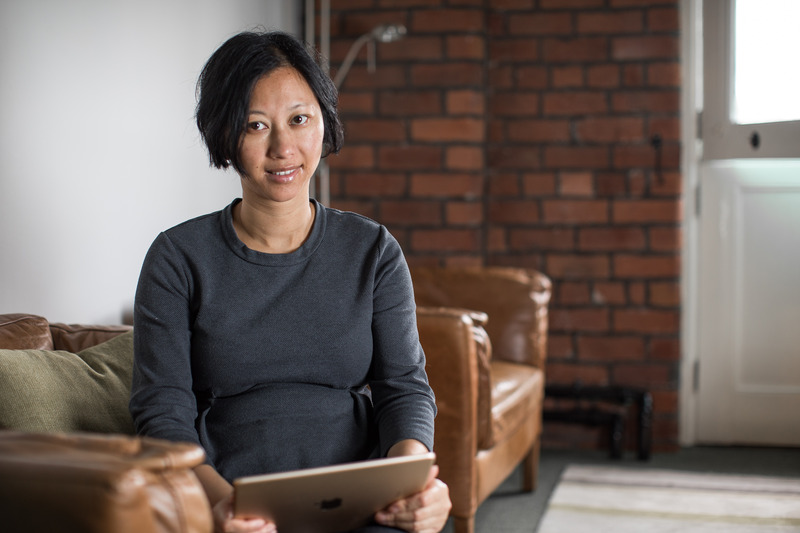 Over 12,000 quality, leadership and consultants across the UK access our toolkits for the latest thoughts, guidance and tips for managing Standards. The ISO 9001:2015 revision is now live. Download our comprehensive ISO 9001: 2015 Toolkit for free here. It explains all the essential changes. ISO 14001:2015 has been revised and businesses have under a year to transition. Download the Qualsys toolkit to help you to prepare your EMS for the changes. 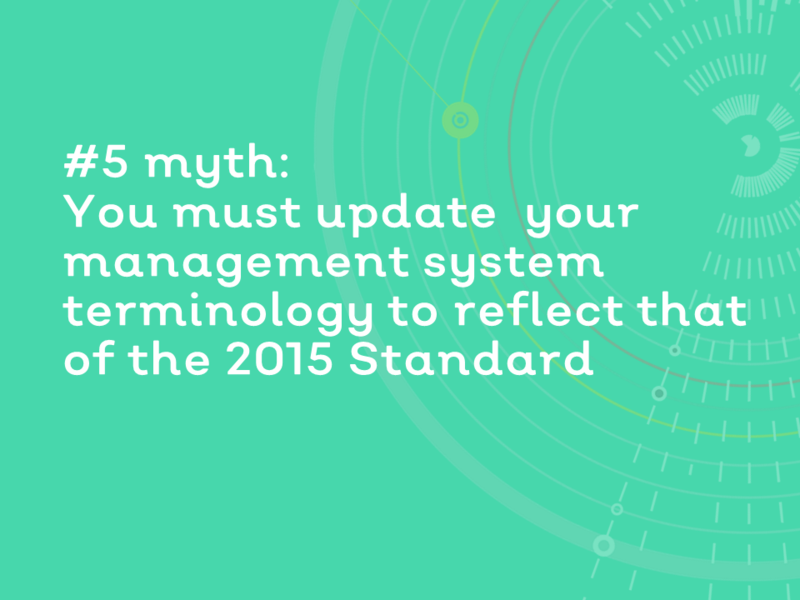 Understand more about the key changes to ISO/TS 16949, the automotive quality management standard. ISO 13485 Toolkit explaining the key requirements of the medical device quality management system. Understand information security management system requirements by downloading ISO 27001:2013 toolkit for free here. Understand the concepts of the new occupational health and safety standard by downloading our ISO 45001 toolkit. Download it here. No matter how long we've been in the profession, there's always more to learn. We're in a profession which is constantly changing due to regulation, customers' needs and innovation. Expand your knowledge and spark new insights with our range of training courses. We partner with industry consultants to share their advice for tackling governance, risk and compliance challenges. 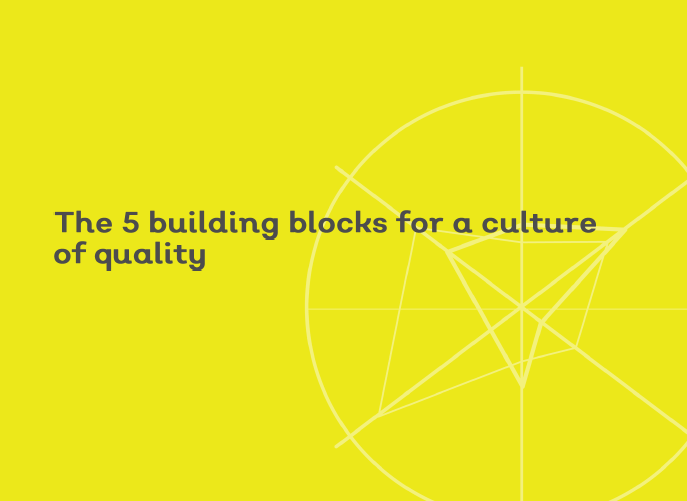 In this presentation, Richard Green, founder of Kingsford Consultancy Services Ltd explains what a culture of quality really is, key indicators and the 5 building blocks. Don't waste time implementing changes you don't need to! And don't be misled by auditors! In this presentation Richard Green, MD at Kingsford Consultancy Services, shares 5 myths and the truth behind them. 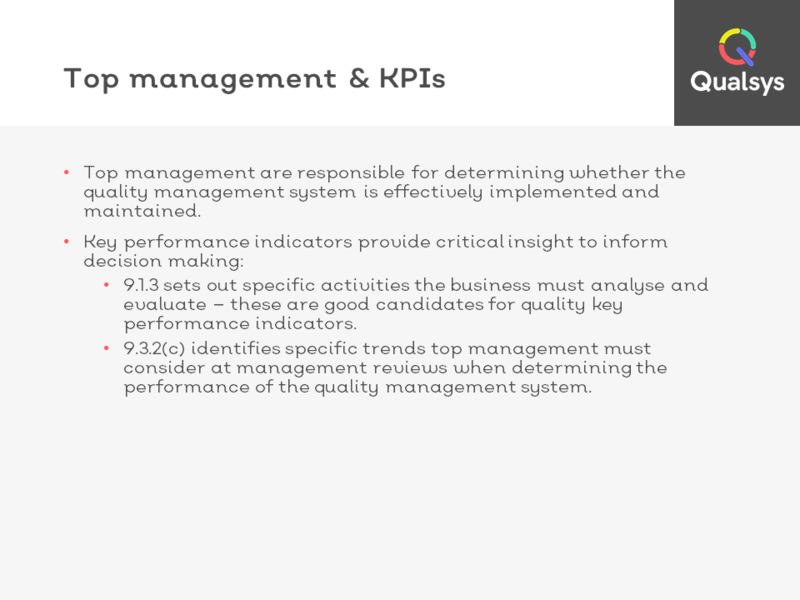 In this presentation, Richard Green, founder of Kingsford Consultancy Services Ltd explains six quality management system key performance indicators your business should be monitoring. In this video, Richard Green explains the key ingredients for an effective quality management system. Has the auditor become the assessor? In this video, Richard Green explains how the auditor is becoming more of an assessor. In this video, John Oakland, best selling author of Total Quality Management, explains why we need to redefine the role of quality. Introducing any new system is not without its challenges. In this video, Rob talks through the journey he has been on implementing a governance, risk and compliance solution at Sodexo. What KPIs should we be tracking? Richard Green explains what KPIs we should monitor and how to do it. How can quality professionals future-proof their skillset? Vince Demond, acting CEO at the CQI (Chartered Quality Institute) shares the challenges quality professionals have in getting recognition and the skills needed to stay ahead. Qualsys are delighted to announce that the Global Governance, Risk and Compliance Benchmarking report 2018 has now been published. Qualsys is delighted to reach the finals of the 2018 IT Europa European IT & Software Excellence Awards, in the SaaS Enterprise Solution of the Year category. Risk lurks in every nook and cranny of a business - and there is increasing pressure from standards like ISO 9000 and 31000 for senior management teams to address it. When selecting a new governance, risk and compliance software solution, one important decision you will need to make is whether you will be hosting your system on the cloud or on-premise. Governance, risk and compliance (GRC) software was originally designed to keep your information controlled in an electronic format. It was often only accessed by quality teams to show external auditors and customers processes and procedures. Every governance, risk and compliance person, regardless of the type of business they work for, wants their policies to be read and understood by their employees, customers and suppliers. Our software is continually evolving. This is why the Qualsys team all undertake regular refresher training. It is crucial that we know how to make the new features and enhancements work for our customers. Of course good governance, risk and compliance isn't just about getting certificates on the wall. But they don't hurt either! Now you know you need to upgrade your governance, risk and compliance (GRC) management system, it's time to convince others across your business. To stay competitive in today's market, it's vital you have a good strategy to manage risk. In recent times, some high-profile organisations have learned the hard way that neglecting risk can not only be costly, but undo years of work building a strong brand and reputation. ISO 45001, the world's first international occupational health and safety quality standard, was published on 12 March, replacing the previous OHSAS 18001 benchmark.